No matter what you and your family needs to get done, you get it done in a pair of Crocs. It doesn’t have to be summer to slip on a pair. Don’t believe me? Here are some examples of things one can do in the fall while sporting one’s Crocs, and doing it with style! *I was asked to participate in the #DiscoverCrocs campaign sponsored by Crocs, Inc. Although I have been compensated, all opinions are my own. As the gal who pretty much runs this household, I love them because they are the shoes that bail us out of trouble when in a hurry (which is most of the time). Slip on and off… you gotta love it! I will say, I am little bit jealous of the wonderful soft fuzz in my boys’ Baya Heathered Lined Clogs in Mahogany. I know my family is not the only busy family, so when I say, “WE ARE SO BUSY” I don’t mean, “WE ARE BUSIER THAN YOU…” I just mean… we are all busy and I am always on the look-out for ways to help simplify life. Shoes that slip on and off are one victory in that life simplification process… and if they are comfortable too? Then I guess we have sort of won the lottery. The SIMPLE AND COMFY LOTTERY. My guys love the indoor/outdoor flexibility of their clogs. They are great for keeping their toesies warm while kicking it in the house, and great for heading out the door to take out the trash for me… or run to the store for me… or take the girls to play rehearsal for me. Basically, it’s all about me. 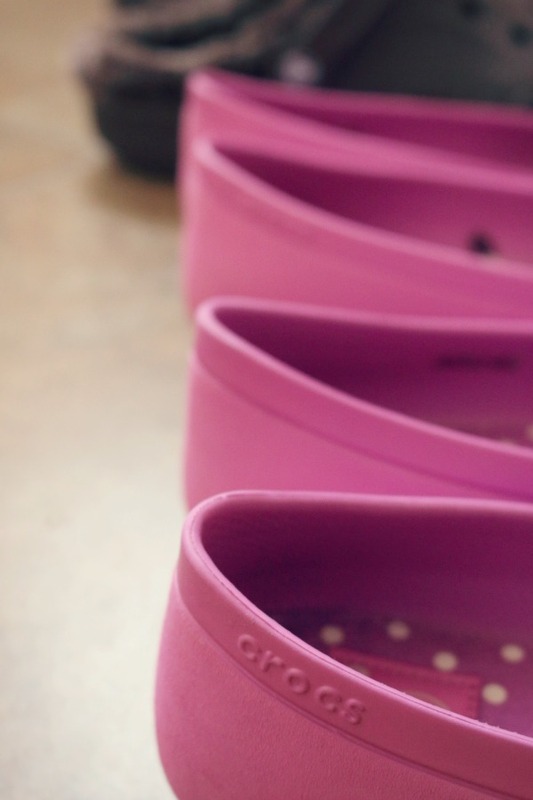 And as for the flats… it’s fun to find a comfortable Croc for us lady folks that has such cute girly twist. 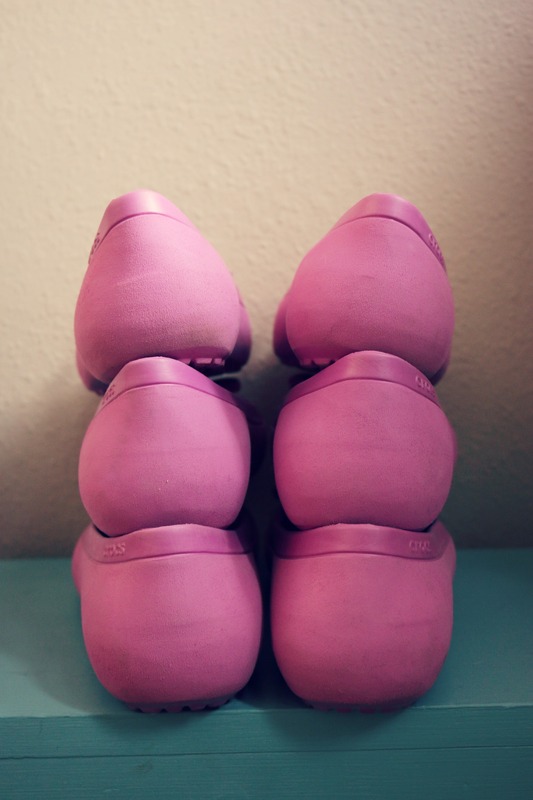 They have a much more streamlined profile and more fashion-forward style than the first generation of Crocs. …have matching shoes, we have a whole other reason to take even more fun mother-daughter matchy matchy pictures! OK. It’s YOUR turn… #DiscoverCrocs! I am impressed with all the cute photos in this post. Perhaps I will give Crocs another go. Blessings!